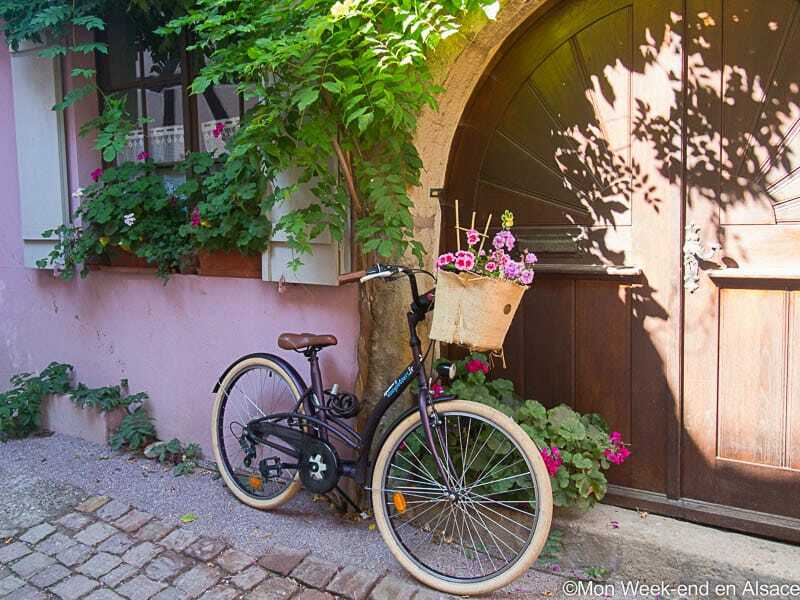 Dear wine lovers, here is a place that you shouldn’t miss in Strasbourg! 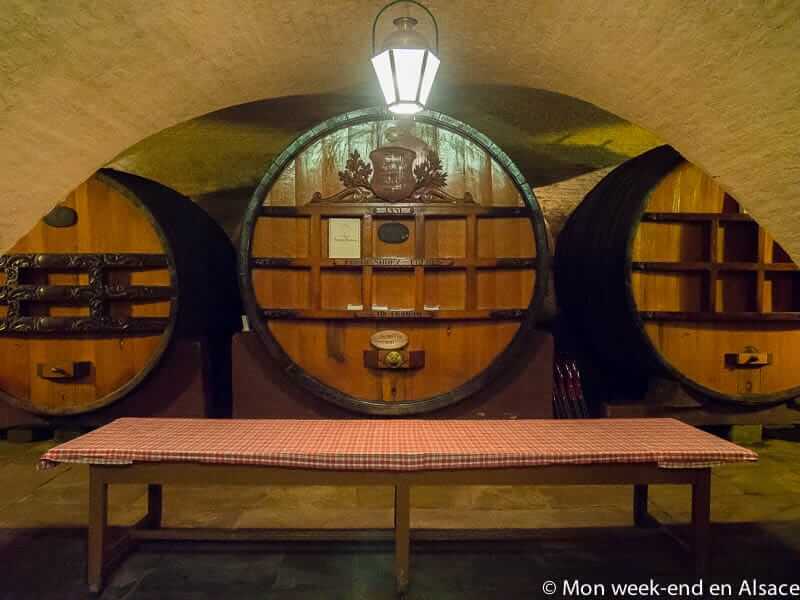 The Historic Wine Cellar of the Civil Hospital of Strasbourg is located in the present University Hospital of Strasbourg, and holds the oldest wine in the world kept in a barrel… It dates back from 1472! It’s of course impossible to taste it, as it has only been served 3 times in 5 centuries for important occasions, the last time being for the liberation of Strasbourg in 1944. 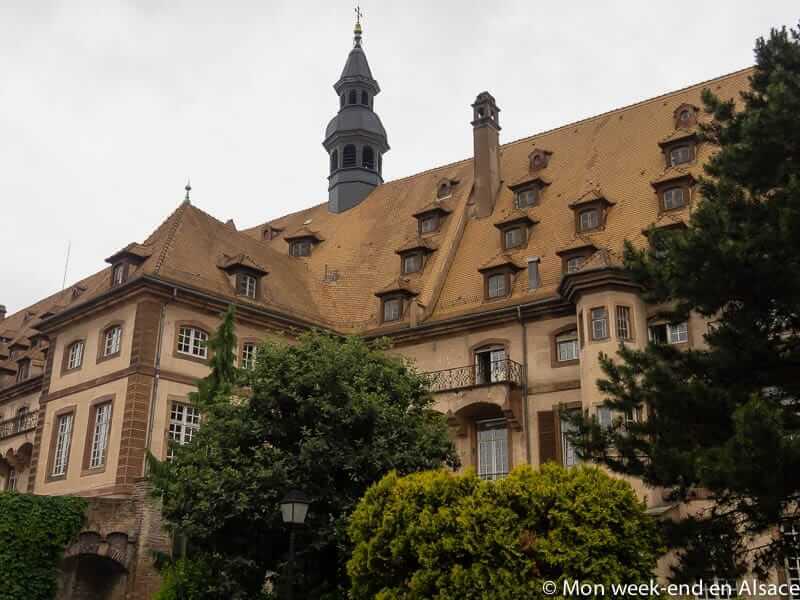 The Historic Wine Cellar of Strasbourg Hospital was established in 1395 and was used in the Middle Ages to store wines, wheat and other perishable products, for patients, pilgrims and clergymen. In the Middle Ages, beyond its religious vocation, wine was used as medicine and each patient received 2 to 3 liters of wine per day. This tradition would last up until the beginning of the 19th century. This hospital quickly became a rich landowner, as many patients would pay for care and treatments by bequeathing pieces of land, which, placed end-to-end, would constitute a very vast estate. In 1716, a fire destroyed the hospital, sparing however the bakery, the chapel and the cellar. 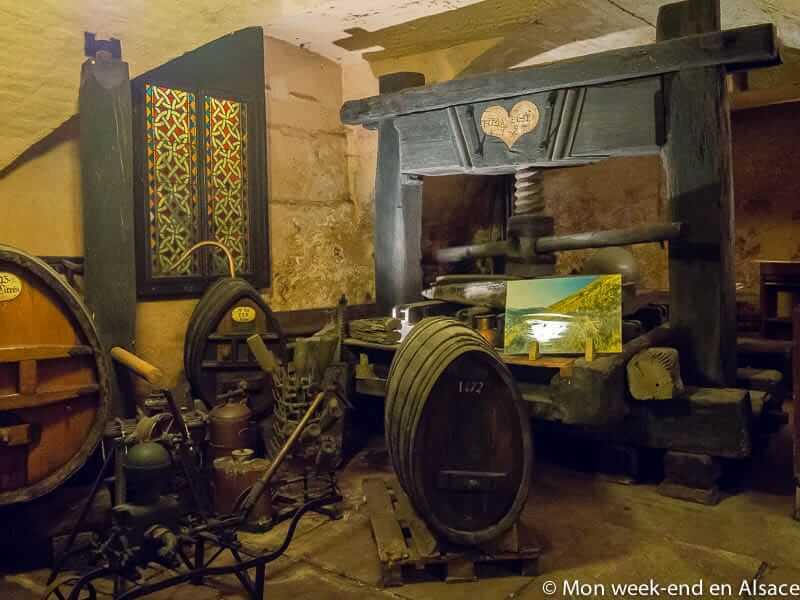 In the 20th century, winemaking activities slowed down, but in 1995, the wine cellar resumed its activities on the initiative of Alsatian winegrowers gathered in a cooperative. After extensive restoration work, the cellar sells today over 150,000 bottles a year. However, no advertising is done and all profits are reinvested in medical devices. Beyond this famous wine, visiting the wine cellar is always interesting: the place is splendid and steeped in history. The wine cellars were founded in the 14th century to meet the hospital needs, where patients, but also pilgrims and poor people were welcomed. Over the centuries, the vineyards were sold and the wine cellar ceased to be exploited. Fortunately, wine-growers saved it by restoring the cellar and by growing a selection of Alsatian wines. Henceforth, we can visit the wine cellar and admire the huge casks containing Alsatian wines coming from different estates. There are no guided tours for individuals and very few explanatory signs, but it’s possible to rent an audioguide. Don’t forget to have a look at the three historical casks, well protected behind their gate and respectively dating back from 1472, 1519 and 1525. 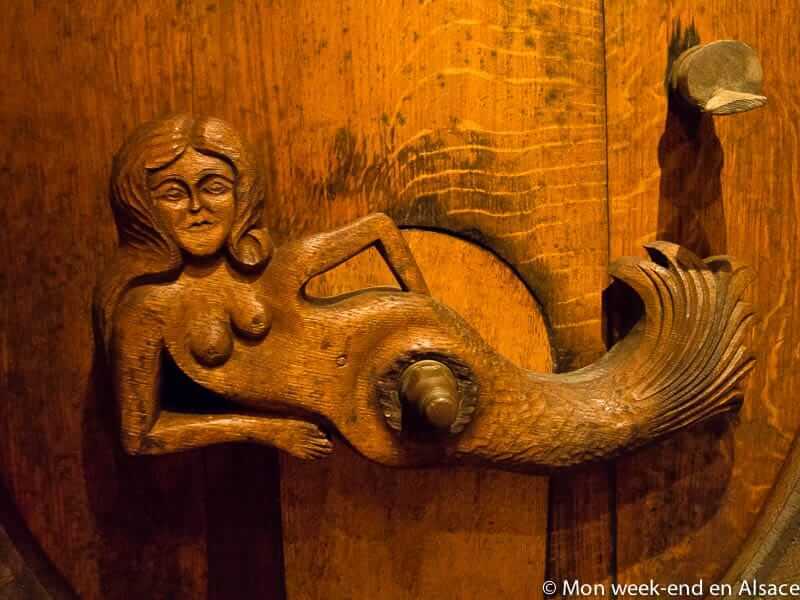 The first one therefore holds the oldest wine in a barrel in the world. The 300 liters of this legendary vintage, a white wine, have only been served three times since it was put in the barrel. It was subjected to an oenological control in 1994. 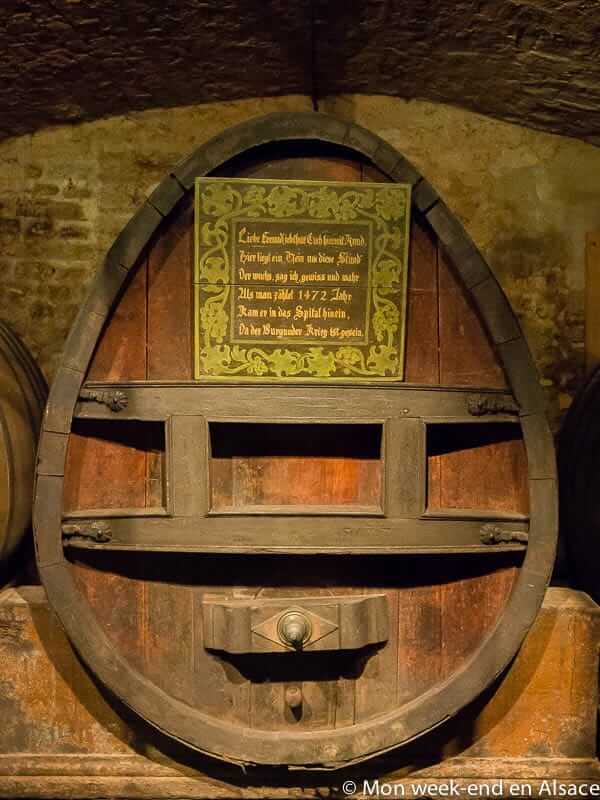 During your tour of the Historic Wine Cellar, you’ll also be able to see a press dating back from 1727 and a huge barrel from 1881, with a capacity of 26,000 liters. 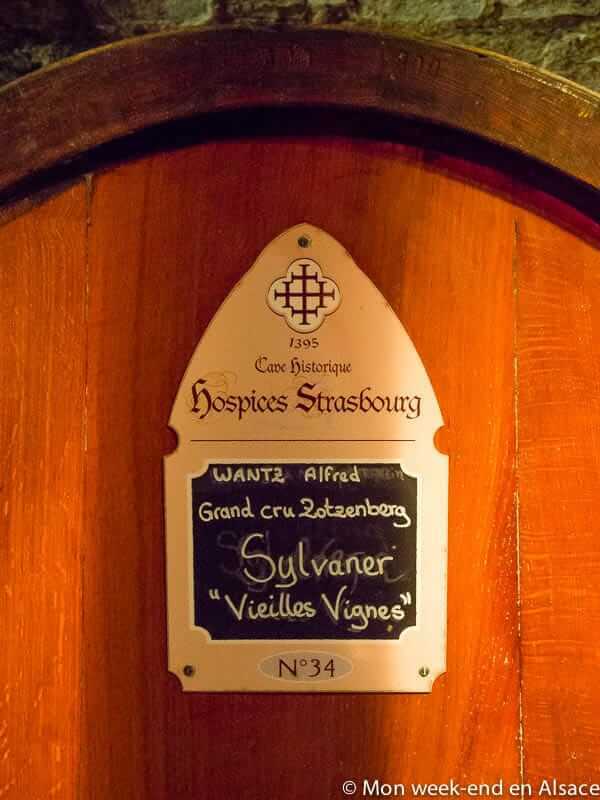 The wines labelled with the name of the Historic Wine Cellar of Strasbourg Hospital can be bought in the adjoining store and come from about thirty Alsatian wine-growers. The wines are selected by a tasting panel (carrying out a double blind tasting), and then carefully aged in oak casks in the historic wine cellar and bottled onsite. 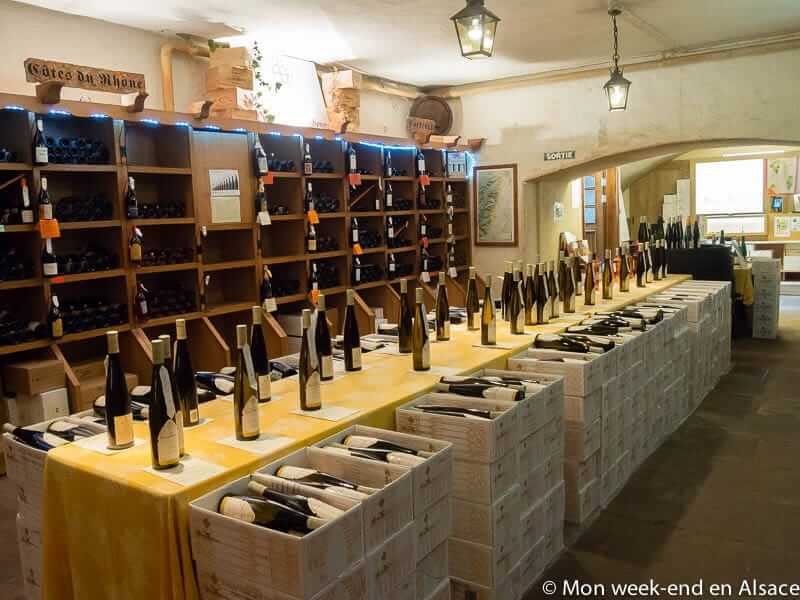 It’s a great way to perpetuate the tradition in this extraordinary cellar! Visiting the cellar is free. The audioguide costs 3€ (optional). 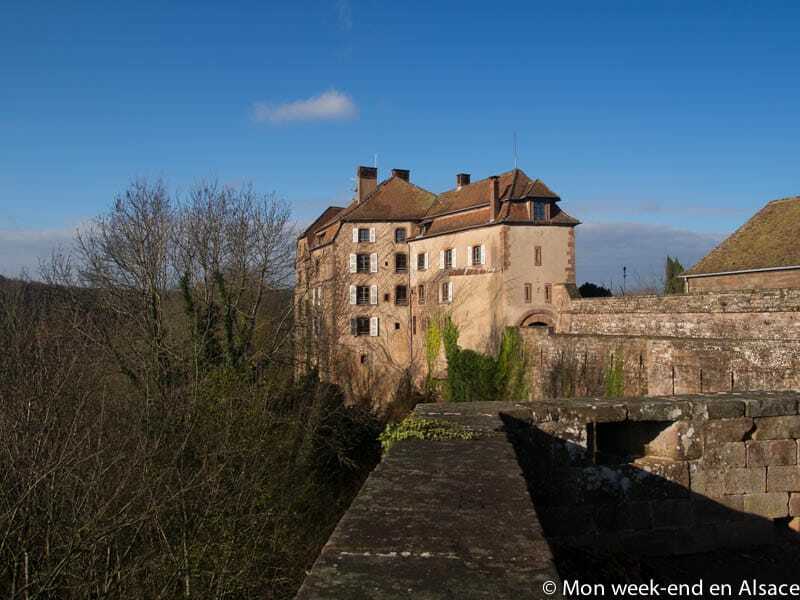 You will find here the opening times of the Historic Wine Cellar of Strasbourg Hospital. For groups of over 15 people, it is possible to book a commented visit with a tasting of 3 wines. You can contact directly the cellar for more information. The address is as follows: 1 place de l’Hôpital in Strasbourg. It is possible to park in the streets close to the hospital or in the car parks nearby. Tram Stop Porte de l’Hôpital (lines A and D). 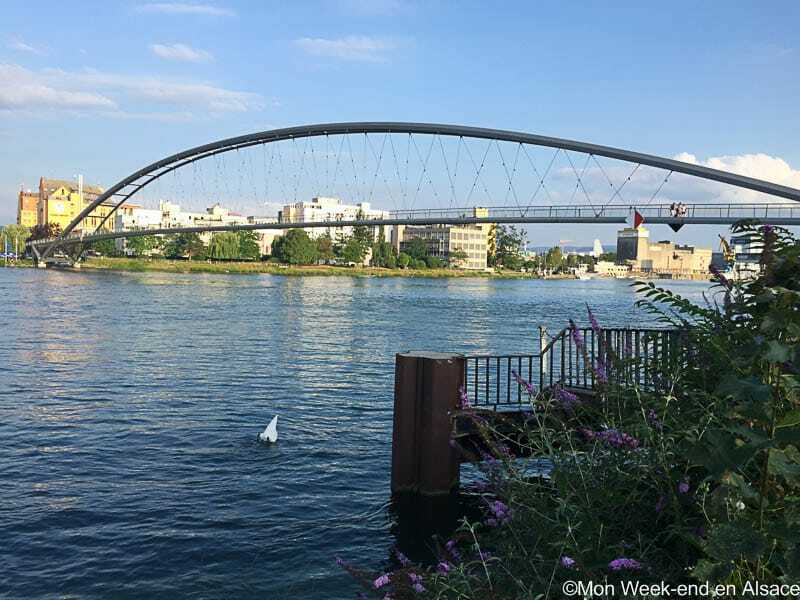 The Three Countries Bridge: between France, Germany and Switzerland!